DISCOUNT CODE STILL VALID UNTIL JUNE 28TH! Let me just get straight to the point. 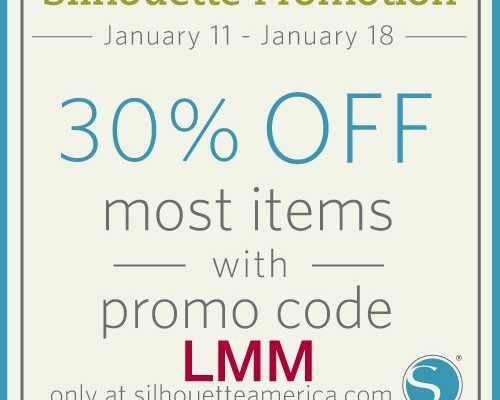 Yep, LMM is giving away another Silhouette Cameo! AND a Rhinestone Starter Kit! we have a ROCKIN discount for you! The discount code is valid until June 28th. For an additional entry, Facebook the following: “@LittleMissMomma is giving away a Silhouette CAMEO and she has a discount code!” Be sure to include a link to the giveaway post. The winner will be announced on Tuesday the 26th of June. The Rhinestone Starter Kit is a blast! I received a kit to play around with and I got the idea to dress up a pair simple black heels with a little bling. I got the heels on clearance for $10 at a local inexpensive shoe store called Reflections. Another great place to look is Forever 21. The rhinestone starter kit contains all the materials you need to get started with rhinestones from template material to rhinestones to an instructional DVD. If you’re interested in creating rhinestone projects and aren’t sure where to start, this kit and your Silhouette are all you need to jump in. 1. Open up your fun starter kit. 2. Use the super helpful step-by-step instruction booklet included in the kit. 3. Choose your design from the online shop or your library. Be sure to place a thin cloth over the rhinestone decal before ironing the rhinestones in place (or else you may melt the shoe and the decal). And then BLING BLING! I think this would be fun on a pair of colored heals too! 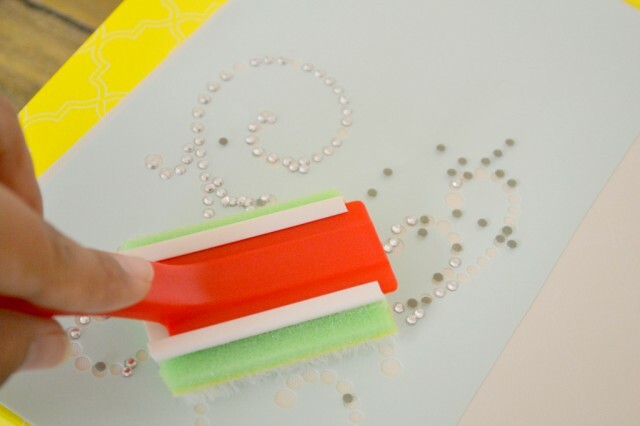 Visit this link for more great ideas for your rhinestone starter kit. If you already have a Silhouette and you just want the Rhinestone Starter Kit, you can use the same discount code: LMM to get the Starter Kit for only $29.99. I am now following the Silhouette blog in my Google Reader! I follow Silhouette blog! Would love to win! Thanks fot the great giveaway! I just posted the giveaway on facebook. I would totally love to get this amazing giveaway!!!! Very exciting!!! I follow the Silhouette blog in Google Reader. Just announced you giveaway on Facebook. I am a follower of the Silhouette Blog! I’ve posted your giveaway on The Traveling Spoon’s Facebook page! I’m following the silhouette blog in g-reader. I follow Silhouette’s blog!! Thanks for the giveaway! I shared the giveaway on my FB! I follow the Silhouette blog. Can’t wait to get my own to use the ideas I see! following! Mommy wants to win!! I follow the Silhouette blog. Thanks for the chance to win this amazing giveaway! I follow the sil blog! I have been following the silhouette blog forever even though I don’t own one yet! I tweeted this giveaway with a link to this post! Thanks for an awesome giveaway! Subscribed/follow the Silhouette blog! Thanks! I follow the Silhouette blog! Thanks! I follow Silhouette blog! Would love to win! Thanks for the super giveaway, I have been wanting one for a long time. I follow the silhouette blog. Thanks for the opportunity! I follow the Silhouette blog. thanks for the giveaway! I already follow the silhouette blog! I hope to win! I emailed Silhouette blog for baby shower gift ideas!!! I’m following the Silhouette blog now! I follow their blog! I would LOVE Love LOVE to win this! I follow the sillouette blog! I am a follower on Silhouette Blog. I follow the blog and love it! shoes are soooo cute!! I follow the blog through RSS reader. What a cute idea to add them to shoes! I follow the silhouette blog with RSS. Thanks for hosting the giveaway! I follow the silhouette blog through google reader. I follow the silhouette blog and drool over all the projects I want to make. I would love to win this machine and make some fun tshirts and signs for my children and my niece and nephew to wear and hold when my dad comes home from Afghanistan! I follow the silhouette blog!!!!!!!!!!!!!!!! I am a Silhouette blog follower! They post the best tutorials! How exciting! I am a silhouette blog follower. Thanks!! I posted your giveaway on FB! I am a follower of Silouette America blog since 2011, so I sent them an email of suggestion tutorial. Thank you for a chance to win this amazing Cameo! I follow their blog! I would love to win one of these beauties!!! I adore those heels!! I follow the silhouette blog- thanks for the oppurtunity!!!! I am following the blog on my Google Reader! Would love to win this. Been wanting one for sometime. Just hasn’t been in the budget. I follow the blog via Google reader! I follow the Silhouette blog too! I shared on FB too! I’ve been following the Silhouette blog for a while, just drooling over all the projects I wish I could do! I tweeted the good news! Keeping my fingers crossed! Thanks for the chance! I follow the Silhouette blog via email and Google Reader. i facebooked it 🙂 Thanks! I shared on fb and tweeted! 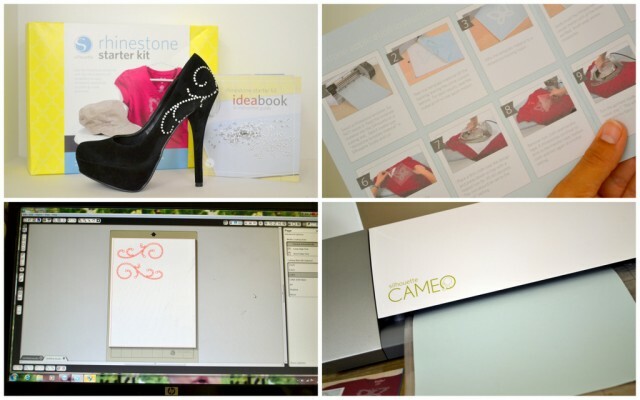 I follow Silhouette’s blog, I would love to have one! Congrats on the new little one about to join your family! I’m already a follower of the Silhouette blog. Thanks for the giveaway. i follow silhouette blog already!! Of course I follow Silhouette! Gave you some love on Twitter! Yay! Started following the Silhouette blog! Love the heels! I follow the silhouette blog. Thanks for hosting the giveaway, fingers crossed! I follow the silhouette blog via google feed reader. Thanks for hosting the giveaway, I’m keeping my fingers crossed! I tweeted about it! @MissChenray. SERIOUSLY FINGERS ARE CROSSED!! Mentioned it on FB ! 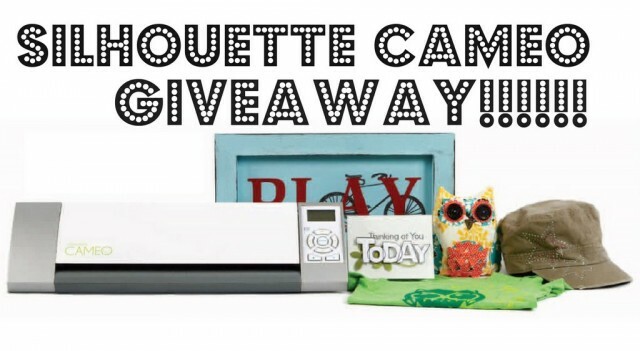 I follow the Silhouette blog… oh gosh I’ve been trying to win one of these FOREVER!!! I want one so bad but just can’t afford it on my teacher salary 🙁 pleaseohpleaseohplease I hope it’s me! I follow the sillhouette blog and love the ideas and tips! I’d love to win one! Thank you! i follow the silhouette blog through my google reader! I’ve been following the Silhouette blog via RSS feed for a little while. So many drool-worthy projects! I follow Silhouette’s blog. 🙂 Cute heels! sent an email from [email protected]! I follow the silhouette blog! Thanks for the wonderful opportunity SB and LMM! I would really love to win! I shared this awesome giveaway on FB! I subscribed to the silhouette blog. I follow Silhouette blog by email and google reader! I follow Silhouette blog via GFC. Rocking shoes!! I follow Silhouette Blog! I would be ecstatic if I won this….fingers crossed (and toes)! I posted on Shabby Sweet Tea’s FB page!! I could really use a fancy letter cutting machine! Following their blog with google reader! I follow the Silhouette blog ! I am now following the Silhouette blog! Thanks!!! I shared a link to the giveaway on FB! Courtenay Crocombe shared a link. I would love one! I’m now following their blog! 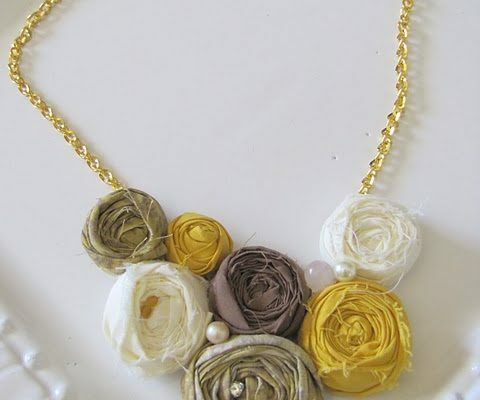 I follow Silhouette’s blog & am loving all the bling ideas! I follow the Silhouette blog via RSS on google reader. That’s how I read yours too! Thanks for the giveaway. Hello, I love the heels! I follow Silhouette’s blog via GFC = trishden. Thanks for a great giveaway! I follow the Silhouette blog! I would seriously love to win this! Ohhh I want one sooooo bad! 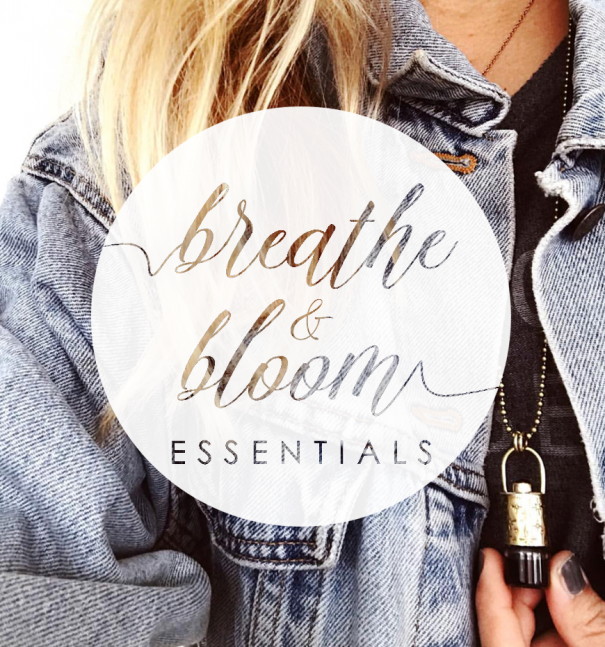 Oopps forgot to say I’m following the blog! I follow the Silhouette blog. Would love to win of course! I follow the Silhouette blog and I am drooling over getting one! Love to win one here! 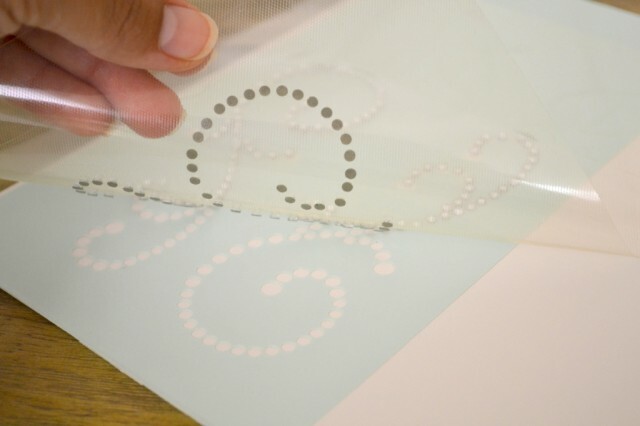 I follow the Silhouette blog.I have been dreaming of one for soooooo long.I need to bling everything! !Thanks for the chance.I love your blog! I already follow their blog. Would love to make some fun blingy things for my girls!! I follow the Silhouette blog with envy. I follow the Silhouette Blog! I love it! I follow the Silhouette blog via email and RSS. I tweeted the giveaway! Awesome heels by the way! I follow the Silhouette blog! Love it! I follow the silhouette blog! Thanks for hosting another great giveaway! I would LOVE to win!!! I follow the Sillhouette blog. Thanks for this giveaway! I follow the silhouette blog! Thanks so much! I follow the Silhouette blog by email. I have wished for a silhouette for a loooonnngg time! Can’t get my hubby to buy into the awesomeness of the crafty possibilities it holds! I already follow on FB and on pinterest as well. Thanks for chance.. I facebook’d about the giveaway! I follow the Silhouette blog. The shoes are SWEET! I follow the blog and love it! I subscribed to the silhouette blog. Hope I win! I emailed Silhouette about a tutorial idea! I tweeted about the giveaway here! I am following the blog and loving it. I follow the Silhouette Blog via email subscription!!! I posted it on my FB page! PS: love, love, LOVE the shoes! I posted to my FB page. PS…still love the shoes! Now if I could only find a pair in size 4 and 1/2 I’d be set! I’m following their blog and I checked out their Pinterest page. I followed the their blog and if I win I’m not sure where I’ll even start!!! EEEEPPPP!! I follow the Silhouette Blog! Such an AMAZING machine. Thanks for the giveaway…don’t know if I even dare hope to be the lucky winner! I’m following the Silhouette blog! Like everyone else, I would be thrilled to win a cameo!! I follow the Silhouette blog! I would LOVE to win!!!! I shared the giveaway with my friends on FB!! I follow the Silhouette blog via email. I followed your blog!!! Thanks for the giveaway! I followed! Crossing my fingers! I am a Silhouette Blog follower. I followed the Silhouette Blog. What a great giveaway, I would love to win! We’re following on Silhouette’s blog now. Thanks for the giveaway!! I follow the Silhouette’s blog! I’m now following the Silhouette blog!! I follow Silhouette blog through Google Reader! I also tweeted about the giveaway from @AndLiveShop!!!! I tweeted this and follow the Silhouette blog 🙂 Crossing my fingers!!!! I’m following the Silhouette blog. Follow the Silhouette blog! Love the ideas! Entering because I know my wife would love this as an added anniversary present. Followed their blog. I posted about the giveaway on FB! less appealing for those who are used to high-quality graphics and playing on a much larger TV or PC screen. Rich client side business logic can often lead to unexpected security pitfalls. This game has to get a rating 4 out of 5 for a retro experience with a modern twist. Mobile phones are generally tiny in size, stylish and smooth in glance, and incredibly practical to carry with. hero’s beau, same applies to a site that’s been stuck in Google’s naughty corner. are sure to make intelligent and sustainable building choices. by yourself, you can hired a professional to install these Sprinkler systems for you quickly and easily. I think everybody wants discount.